Spanish is the third most spoken language in the world, and the most spoken language in the Americas. It’s the official (or co-official) language in Spain, most countries in Central and South America, and several Caribbean countries too. It’s a useful language to know when doing business with Spanish or Latin American firms, and a great way to strengthen your CV and improve your career prospects. In the United States alone there are over 50 million people who speak Spanish as their native or second language. So even if you don’t fancy yourself a globetrotter, Spanish is probably the most useful language to learn if you want to flex your language muscles on a daily basis. There are more Spanish speakers in the United States than in any other Spanish-speaking country, except Mexico. That’s right, there are more people speaking Spanish in the US than in Spain! So if you want to learn a language through immersion, you can practice your Spanish without leaving your neighborhood! Americans see and hear Spanish often (on signs, on the radio and TV, in eavesdropped bits of conversation…). Instead of tuning out this second language that surrounds you, why not tune in? 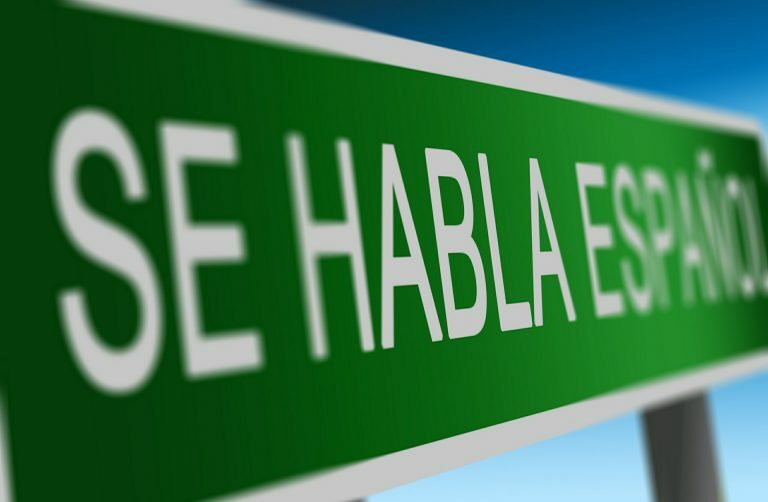 Once you start learning a little Spanish, every encounter with the language is an opportunity to practice and improve. Order Mexican food in Spanish, put on Spanish-language radio or TV while you’re doing chores around the house, add some Spanish-language publishers to your news feed… And the best part is that none of this requires taking vacation time or booking expensive plane tickets. Over 50 million Americans claim some Hispanic heritage. Do you? There’s no better way to reconnect to your ancestors than by learning their language. Even without Hispanic heritage, you might find an affinity for a new language that allows you to express yourself in a different way and fosters aspects of your personality that might not come through in your native tongue. No matter how you choose to learn Spanish (online, classes, a tutor, apps, a home stay in a Spanish-speaking country), the best way to stay interested and motivated is through engagement with Spanish-speaking culture. Even if you live in a cabin in the woods with no one around with whom to speak Spanish, you can connect to the Spanish language through its art, music, cinema and literature.